Elon Musk’s idea of launching 4,000 satellites around the world to bring internet to every corner of the planet has moved to the next phase: the genius inventor is securing government permission to begin testing the technology. Telecom companies in the US better beware, because Musk – who has gone head to head with giant corporations in no less than three other industries – is a force to be reckoned with. The inventor himself lauds his tech and believes it will achieve things in places where previous multi-billion-dollar ventures have failed. 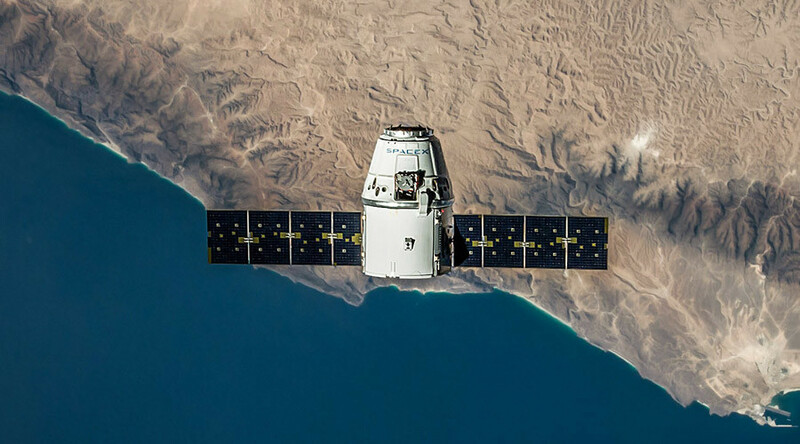 The 4,000 satellites are smaller and cheaper than their competitors, and they plan to offer high-speed internet access to a tent in the Sahara Desert, if need be. To Musk, this is akin to “rebuilding the internet in space,” according to the Washington Post. To get the project going, his Space X company, responsible for revolutionary commercial space rockets, will assume the mantle of an internet provider. The major advantage of this lies not in its ability to compete for quality of service, but the ability to deliver them to much more remote areas, earning millions more customers than other major players. Space X plans to launch its Falcon 9 rocket into orbit to connect three West Coast satellites with ground stations for the tests, which will assess antenna technology and speed. Musk hopes the federal government filing he’s launched will enable the testing as early as next year. And if we’re really lucky, the system will be up and running within five. Facebook recently shelved its half-a-billion-dollar plan for global internet through satellites, although it’s still in the game with an idea to deliver free internet access via a special, solar-powered aircraft. Musk also has competition in the form of Virgin’s Richard Branson, another adventurous billionaire businessman. Google, however, wants to help out: it’s just invested $1 billion in Musk’s venture, together with Fidelity. They gave the money to Space X to support the upcoming satellite launch. Perhaps the more pressing question is finance. The idea to connect everyone by way of satellites is not new. Back in the 1990s, Microsoft legend Bill Gates attempted to do the same. But costs soared to some $9 billion and the idea was abandoned. Musk has a few tricks up his sleeve. Chief among them is the fact that his own swarm of satellites is cheaper and more efficient, which also means they are easier to replace than those Gates had in mind. Musk has been making off-the-cuff remarks at private meetings, sometimes leaked to YouTube by those present. In January, he said his new venture would constitute “a real enable for people in poorer regions of the world.” He later admitted that permission from countries would be required. SpaceX has already been cashing in on the space transportation market, after NASA ended its shuttle program in 2011. The SpaceX’s unmanned Dragon vessel is currently the only spacecraft capable of docking with the International Space Station and then returning to earth with cargo, although it can’t quite get the landing part right yet. And with three industries revolutionized – plus the upcoming Hyperloop concept, also Musk’s baby, it would be crazy to dismiss the billionaire genius’s words for just hot air.